‘Every company is now a media company’, as the adage goes. And so many businesses know they ‘should be doing something’ on social media. And they do. But overall, B2B businesses are still not close to fully understanding how to fully optimise social media to their advantage. And they are missing out. But it’s just a fact that some companies have invested more time and effort into making their presence known, and have handled their presence on social media with more finesse and strategy than others. The B2B businesses below have taken the bull by the horns and realised the social media formula that works for them. Take a look and see what you can learn for your business. To reach their audience through social media, Slack have established themselves across many areas of content marketing. These include their own podcast, a (retired) Medium account, multiple blogs (including from engineers and designers), a job board, and a merchandise store that sells branded socks and stickers. They also have three Twitter accounts - one that answers customer queries, one (main) one that posts out news and insights, and one that is simply there for just demonstrating the love they receive from their customer base. All this content plays a huge part in Slack’s brand identity, and accelerate’s people’s trust and the company's credibility. 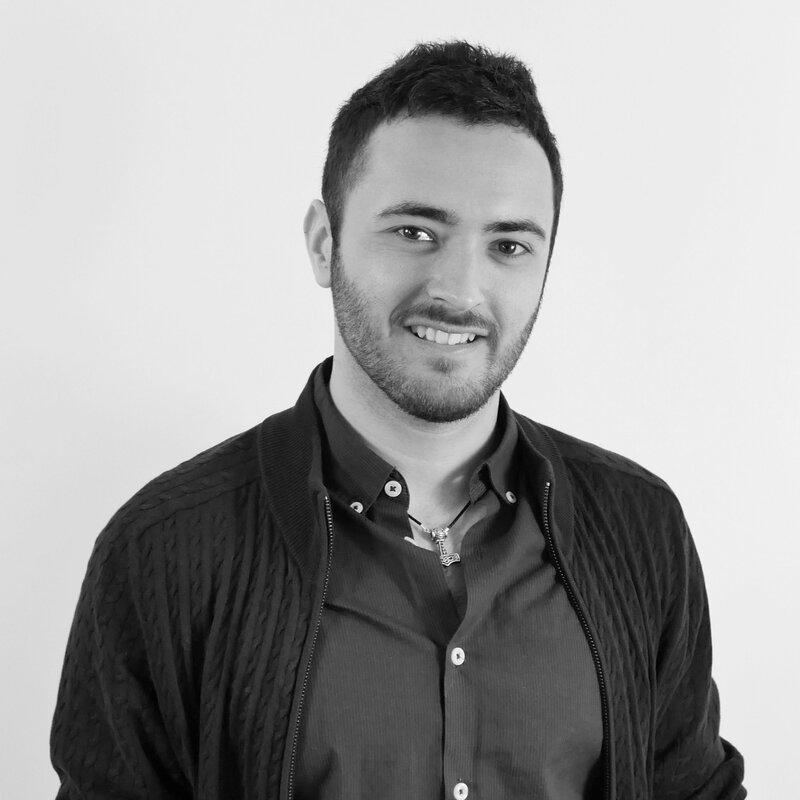 They are varying their content with tons of written platforms, which leans on all their teams’ expertise, which has built their real estate online and has made their social feeds a joy to look at and to discover more about the company behind the product. Do people really buy shipping via Facebook? Yes, eventually, Maersk believe, after building a huge social media presence with more than 30 social accounts across the world. The company now feels that social works towards the strategic goals of the organisation. Davina Rapaport, who is the company’s Pulse and Social Media Manager, says this about reaching their audience through social: ‘From our research, we have found that the average customer consumes 10.4 pieces of online content before even picking up the phone and calling a shipping company. During this time 67% of the decision making process is made. Although already huge when they started, social media has helped facilitate IBM’s continued growth. Their content is both insightful and visually compelling. On Twitter, the main account is used for product development and research, while their Instagram account displays their services and culture in a somewhat whimsical way. However, it’s the social selling aspect that potential sales leaders should stand up and take notice of. In one case, by integrating social selling via Twitter and Linkedin into their sales process, seven of IBM’s reps grew their aggregate LinkedIn direct followers from 535 at the beginning of the test to 3,500, and their reach (followers of followers) went from 54,000 to 1.3 million. This pilot of their social selling programme also saw an increase of 400% in sales. So don't just consider social media as the tool to show others what your business does. Consider how your sales team can better utilise it too. As the brand name in inbound marketing, Hubspot preach the message daily that social media can have a massive eventual impact on lead generation and your sales funnel. And they’ve used it since the start to grow the business. The numbers speak for themselves. In 2008 (3 years after launching) they hit $2.2 million in sales. And in 2012, just 4 years later, they hit $52 million. How? They use social media and value-oriented content to ‘get in early’ with their customers, and focus on getting to the answer of the audience’s pain point. Their blog, video content, and seemingly endless library of resources always deliver value to their potential customers. I remember reading twenty or so Hubspot blogs and subscribing to their emails to solve my digital marketing challenges before I even realised the software and services the company was offering. They turned me into a brand advocate without even selling me anything... and now I use Hubspot every day. The blueprint they have perfected to grow their business is why Yellowstep are such backers of the brand and the inbound methodology. As the leading name in creative software, Adobe’s social feeds are a joy to look at and create a huge emphasis on their brand values: colour, art, and digital experiences. 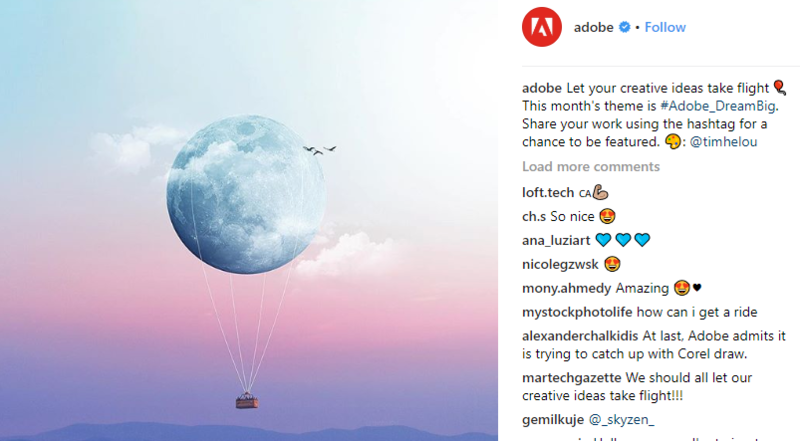 However, Adobe are building brand traction cleverly through user-generated content on their Instagram page. They even use a hashtag that people can send their own artwork to for a chance to be featured. This is extremely clever marketing that really isn’t spending too much time or resource, while giving back to their loyal fans and customers. Databox is becoming a force within the sales and marketing world to track analytics and understand your marketing performance in an easy-to-use dashboard. And their understanding between building community-led conversation, great content, and the importance of your people driving engagement on social is paramount to their success. The business runs agency highlight videos, podcasts with guests on how to run and grow a business, and their CEO, Peter Caputa, is consistently asking for feedback and ideas that they can discuss within their content. This is a key example of a company that are using it’s leaders and people as social media figureheads to make connections and grow their business, and its something that your business should not be afraid of doing either. B2B marketing has always been assumed to be different to B2C marketing, but smart marketers will exploit the areas in between the two. Not only is social media one of the first places people look these days to find your business, but it’s also a way of building brand equity, personality, and sending out useful resources to those that will engage with your content. To use social media effectively and in an engaging way, focus on your brand’s value proposition and determine how it can help other companies. Then create and share the resources that provide answers to those needs on your channels. Social media is key to driving demand. Follow in the footsteps of the six companies above and you’ll stand out among the swathes of boring B2B social content and build a lively, engaging presence potential customers will want to see again and again.